The Schisandraceae family includes over 25 different plants. Indigenous to North-Eastern China, Russia, Japan and the Korean peninsula. 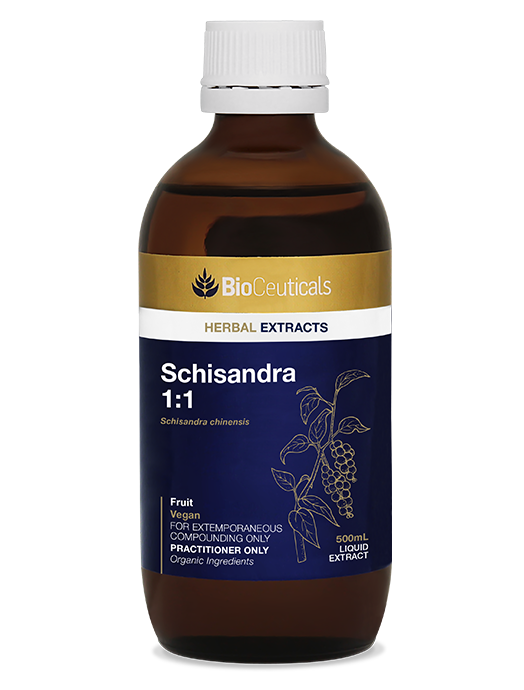 Schisandra is a woody, climbing vine that reaches up to eight metres in height. The fruiting bodies, used medicinally, are a deep shade of red and are globular, arranged in a long ‘spike’ and growing between five to eight millimetres in diameter. Solvents: 50% organic cane ethanol, 50% mountain spring water. Recommended dose: 10-40mL per week. 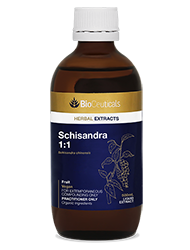 For further education and research, refer to the BioCeuticals Schisandra Monograph.